This breed is in the lower risk category for developing health issues, hence it is one of the least expensive breeds to insure. The lesser-known Japanese Spitz has a very famous smaller cousin – the Pomeranian. 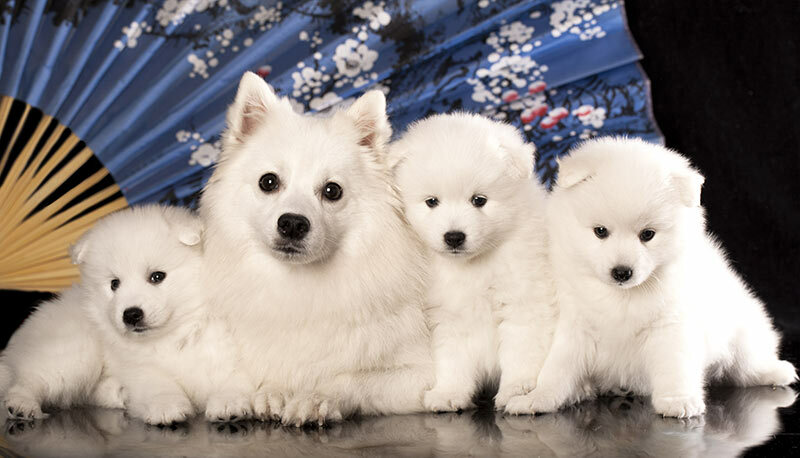 Like the Pomeranian, the Japanese Spitz has a light, fluffy coat that stands off its lightweight body. However, while the Pomeranian comes in a variety of colours, the Japanese Spitz is only white. The Japanese breed features stand-up prick ears that are triangular in shape and a pointed muzzle. What’s most impressive about this breed is its deep, dark and expressive eyes. The dog’s long furry tail usually curls up and over its body to give the breed an attentive look. The Japanese Spitz tends to stay on alert. If their senses are triggered, they can show a lot of bravery and are capable of barking off strangers, though they will calm quickly around trusted humans. This active dog loves human attention and tends to be very loyal and affectionate. Decades of breeding German Spitz dogs with other white Spitz breeds around the world meticulously teased out these desirable traits in Japan. 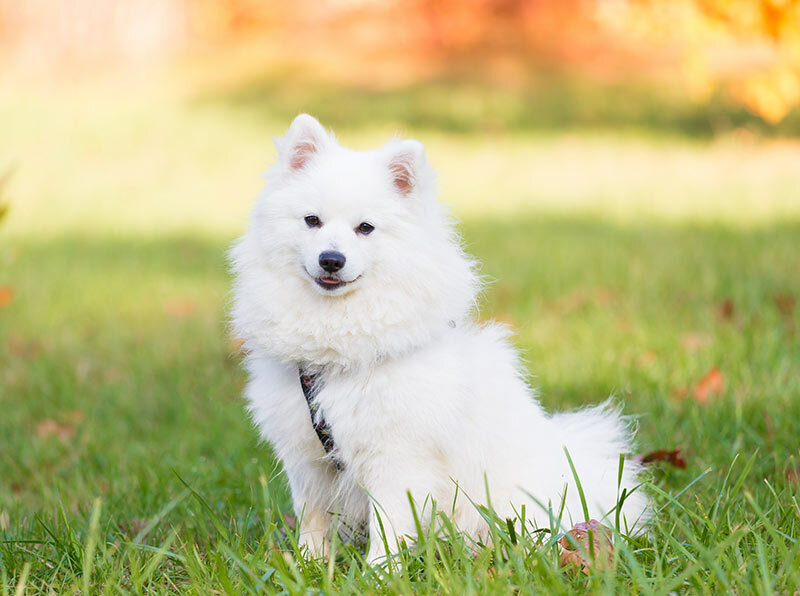 Standards for the Japanese Spitz vary across the world’s kennel clubs, especially when it comes to size, so it’s important to understand your Japanese Spitz’s country of origin. But, no matter how you define the breed, the popularity of the Japanese Spitz is growing around the globe. 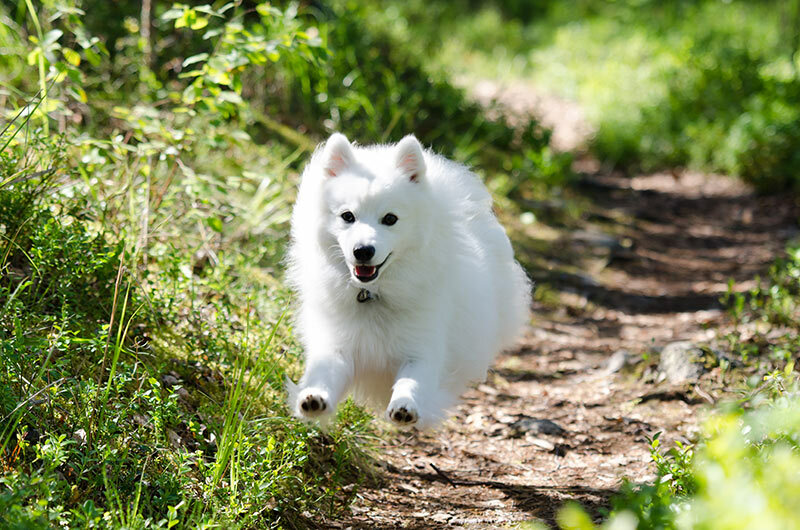 The Japanese Spitz is a great dog for a first-time owner. They are relatively low maintenance, as one walk a day and some play time can keep them happy. This fluffy breed also tends to live a long and healthy life, and is therefore one of the least expensive breeds to insure. This family dog has a positive temperament, is incredibly smart, and responds very well to positive reinforcement training. Japanese Spitzes tends to get along well with other animals and children alike. And due to the breed’s high intelligence, the Japanese Spitz will do its best to protect the family from potential ne’er-do-wells. Different kennel clubs list varying sizes for this breed, but you can expect the dog to stand 25 to 35 cm in height while weighing 5 to 9 kg. Males tend to be slightly larger than females. The dog’s illustriously white coat is very easy to maintain. The Japanese Spitz has an overcoat and an undercoat of fur. The slightly rougher overcoat brushes off dirt while the undercoat contains protective oils. This means that the dog maintains its natural white lustre without much maintenance whatsoever. Japanese Spitzes can have a lot of energy and are very playful. They stand attentively with their tails curled up and over the back. However, they tend to be satisfied with just one walk per day and some play and training time, which will help prevent unwanted behaviours such as furniture and shoe chewing. The breed craves attention from trusted humans and loves contact. The Japanese Spitz is perfect for a snuggle. But years of meticulous breeding has instilled a calmness in the dog when required. Most Japanese Spitzes cope well with being left alone for longer periods of time. The Japanese Spitz tends to get along with other animals and responds very well to children. And the intelligence and loyalty of the breed should give you the confidence to let the dog off the leash once you have trained him to come back when called. Due to their affection for trusted humans, the Japanese Spitz makes for a good watch dog. 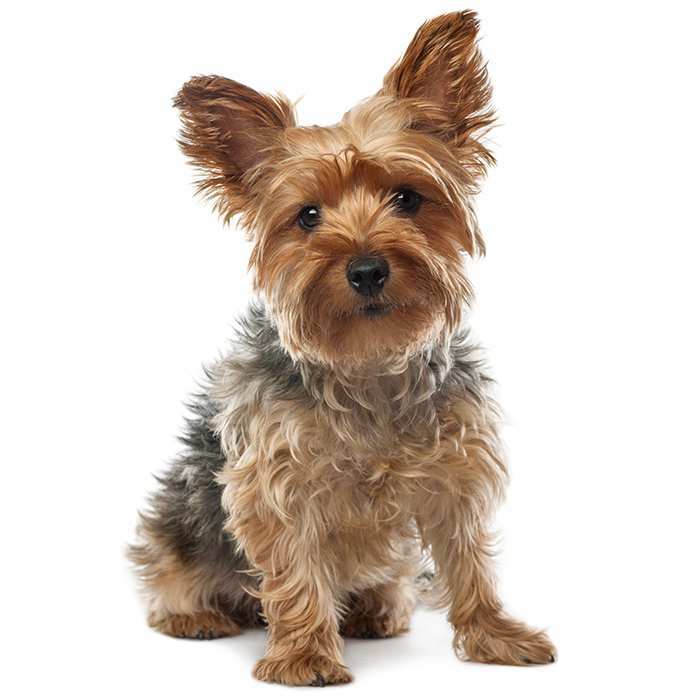 The small breed features a surprisingly loud bark, is always attentive and shows no fear when threatened, but the dog quiets down quickly when a trusted human assesses the situation. What are the most common health issues for Japanese Spitzs? Patellar luxation (dislocated kneecap tendon): When the Japanese Spitz’s thigh muscles contract, the energy passes over the kneecap through the patella tendon. The tendon can come out of its normal groove to cause pain and abnormal leg function. Lameness: This condition is marked by a difficulty in walking or moving about. Lameness in the Japanese Spitz, which is a very healthy breed of dog, is usually caused by luxating patella tendons. Osteoarthritis: Age and activity can cause the cartilage in the joints to wear down to the point of bone-on-bone contact which produces pain, swelling and reduced mobility. Dry skin: The skin of a Japanese Spitz tends to dry badly when bathed too much. Only bathe when necessary. Runny eyes: Minerals, dead skin and other gunk discharge around the eyes over time. This discharge can cause a reddening of the fur on the face. The digestive and immune systems of the Japanese Spitz can leak the toxicity of harmful foods like wheat, dairy and added chemicals through the eyes to cause these stains. It’s important to feed your Japanese Spitz a healthy diet to avoid excessive weepiness. The breed was first shown in Japan at a dog show in 1921. German Spitz dogs were brought to Japan via China and were bred with white Spitz dogs from all over the world to create a loving, energetic, loyal and playful breed. The recognition of the dog as a specific breed was delayed by World War II, but the Japanese Kennel Club quickly named the breed at the conclusion of the war in the late 1940’s. These playful family dogs were exported all over the world starting in the 1950’s. Kennel clubs in different nations began to recognise the Japanese Spitz as a unique breed, except for the American Kennel Club. Due to the breed’s similarity to the American Eskimo Dog, the American Kennel Club does not keep standards for the Japanese Spitz breed. The Japanese Spitz boomed in popularity during the 1950’s. This was especially true in Japan, but the breed began to gain popularity worldwide in the 50’s. 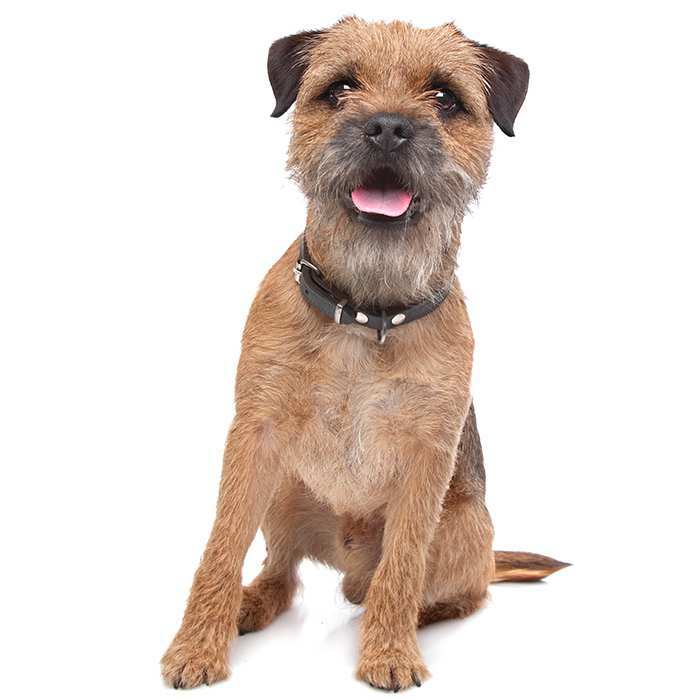 Worldwide organisations categorise the breed differently. 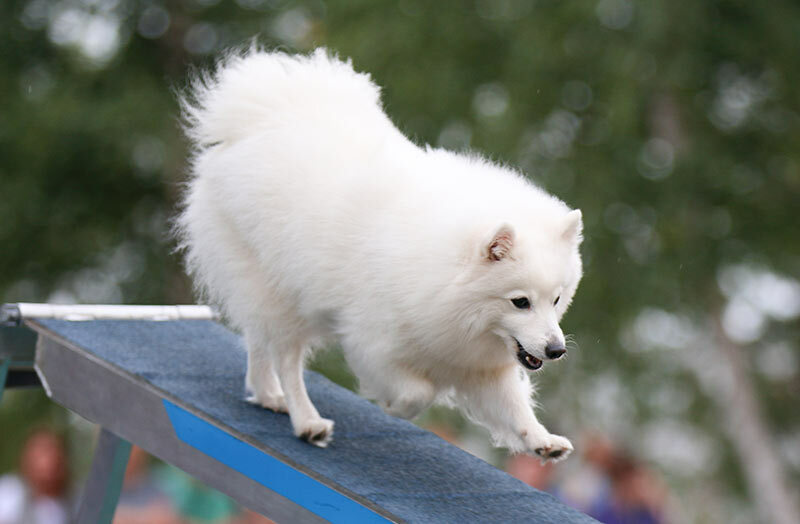 The Australian, Canadian and New Zealand kennel clubs categorise the Japanese Spitz in the non-sporting group. The UK places the Japanese Spitz into the utility category, and the United Kennel Club puts the dog into the Northern Breeding Group. The United States does not recognise the Japanese Spitz as its own breed. Instead, the US lumps the Japanese Spitz in with the American Eskimo Dog due to physical similarities. The American Eskimo Dog was also bred on the North American Continent. The Japanese Spitz prefers warmth despite its fluffy coat. While the dog can tolerate the cold, the Japanese Spitz much prefers to be indoors during the winter months. This makes for a great house dog. There is no variation in colour with the Japanese Spitz. Each and every dog is pure white with an overcoat and an undercoat. The overcoat stands a bit taller and is a bit rougher than the incredibly soft undercoat. That fluffy coast is actually easy to maintain. 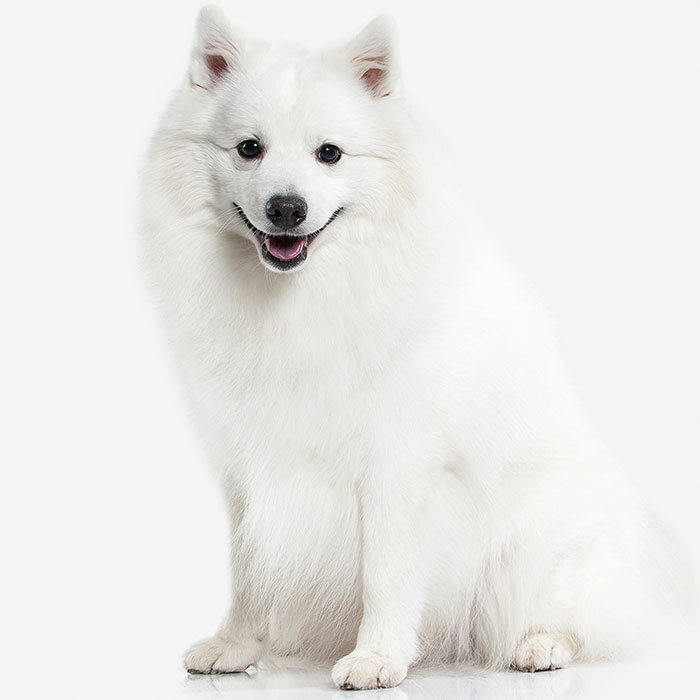 The all-white fur of the Japanese Spitz contains oils that repel dirt. That means the dog maintains a beautiful sheen with very little maintenance.